BFS Manager in the national news! BFS Manager Jennifer Gee’s quail research is featured both in the New York Times and on NBC’s Rock Center with Brian Williams. A female Gambel's Quail. ©Jennifer Gee. 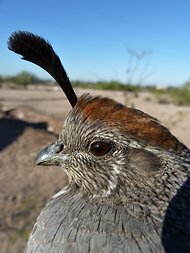 Dr. Gee and her collaborator, Dr. Jennifer Calkin, are blogging about their investigations of the interface between two quail species, Gambel’s Quail (Callipepla gambelii) and Elegant Quail (Callipepla douglasii), in Sonora, Mexico. 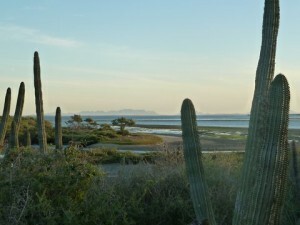 You can click here to see all of Dr. Gee’s posts on her Mexican adventures. 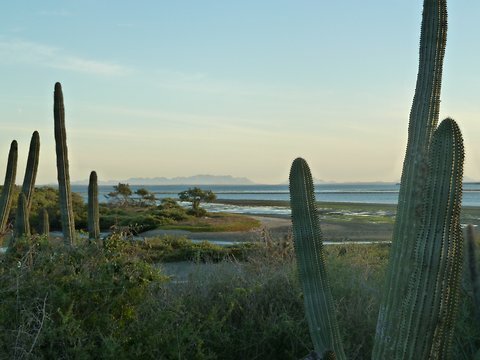 Sunset from Navopatia Field Station, Sonora, Mexico. ©Jennifer Gee. Drs. Gee and Calkin were featured in a December 26 Rock Center with Brian Williams piece on the crowdsourcing website Kickstarter, which they used to fund their initial Mexican Expedition. You can see a video here. The segment on Drs. Gee and Calkin starts at 6:19. You can also check out our previous post on their use of Kickstarter.